No, "Mike Weird" will not be playing Augusta National this week. 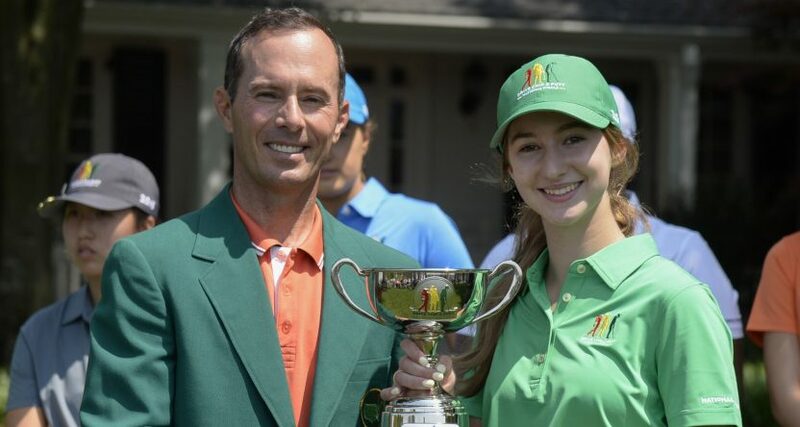 2003 Masters champion Mike Weir will, though. The typo remained as of 9:30 p.m. Eastern Monday. And it’s obviously not the biggest deal in the world; everyone makes typos, including us, and this is just one letter off in a name that’s way, way down the field, and generally not considered a contender at all. But that is a pretty funny one. And really, the 3,000-1 and 5,000-1 shots have a real case to complain here; they’re considered worse bets to win it than a name not actually in the field. 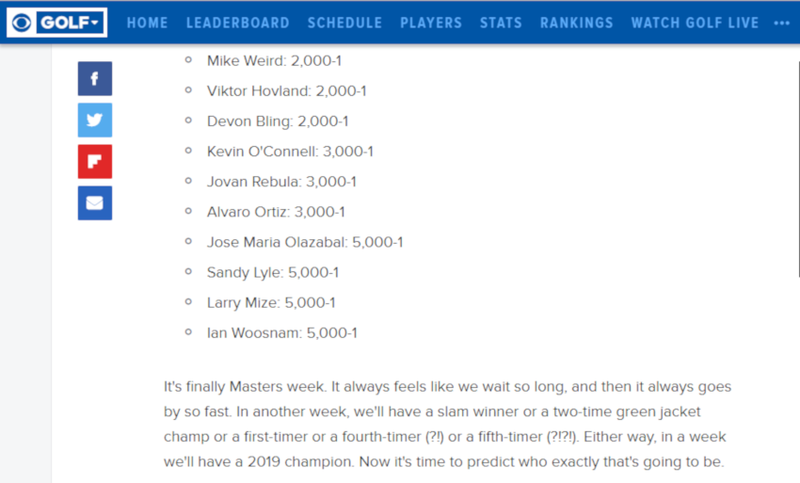 If only there was a way to bet against “Mike Weird” winning the Masters.